Here is another video from my side: "This is why you are failing at Coding Interviews"
If you have not subscribed to my YouTube channel, now is the right time as its all about making you ready to get your dream job. I share tips, lectures(like dp, dp on trees, graphs, squareroot decomposition), and the right mindset needed to crack coding interviews. 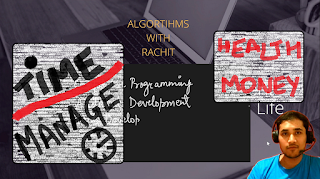 Rachit, an IIT Roorkee Alumnus and Software Engineer at Microsoft shares the major issues that people overlook while they are failing at Coding Interviews, despite being good at technical skills. Subscribe to see more of me. Let me know if this helped. Go get a job at your dream company!